For the past two plus years Amazon has offered Kindle users 5GB of cloud storage for their personal files. This space was in addition to and completely separate from any other storage space users might have on Amazon's servers, and readers could use it to store the personal ebooks that they were reading on their Kindle ebook readers and apps. Amazon announced today that the Kindle Cloud Storage, as a distinct entity, is going away. 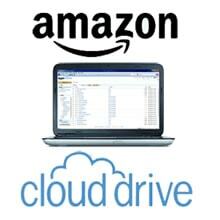 Kindle users will now be able to find and manage their files in the Amazon Cloud Drive. Kindle users will still have the same 5GB that Amazon gave us when they debuted Kindle Cloud Storage in September 2011, it's just going to be easier to use. All of a Kindle users existing documents will be transferred over, and in the future the new documents that readers save to the cloud with the Send to Kindle email feature will be saved in their original format. Update: Here are a few more details. Your personal files will still be accessible from the Manage Your Kindle page, and if you want to send stuff to your Kindle you will still need to use the "Send to Kindle" tools. Uploading files to the Amazon Cloud Drive will not transfer them to your Kindle. While this might be annoying, it's good news. At long last Amazon has decided to rationalize the storage space they give to Kindle users. By combining it with the Amazon Cloud Drive, Amazon is both simplifying the management issues and giving Kindle users a better suite of tools for managing their personal documents (the manage your kindle page is terrible, simply terrible). I have wanted Amazon to do this ever since the Kindle Cloud Storage launched 2 years ago. It made far more sense to have one location for all of my files than to have to manage 2 separate clouds on Amazon's servers. In fact, it makes so much sense that Google made a similar decision a while ago. When Google launched Google Drive in April 2012 that free 5GB space was separate from the 10GB of storage in my Gmail account, and it was merged with the Gmail space in May 2013 for a combined 15GB. And what with Dropbox shooting itself in the foot by hiring Condi Rice for their board, a lot more people will be interested in using it (I’m switching to Microsoft’s Skydrive myself). A fly just appeared in the ointment however. I just got an email from Amazon, telling me that I would be migrating to Cloud Drive, it is therefore NO LONGER FREE to store things I want to upload to my Kindle. Suddenly, possessing a Kindle (and reading books from other than Amazon) costs money. Not much money to be sure, but there is a principle here. Owning a Kindle involves trusting Amazon to provide you storage for your content. That’s the way Kindle works. They should not just change this, especially for their loyal users who have paid $$$ for books over the years. The amount of data is trivial (kB or MB at most). I wouldn’t get too upset. Amazon screwed up the email. What that email was supposed to have told you was that Kindle files now have their own special place on Amazon’s servers. Any content you buy from Amazon is archived for free, and any documents you email to your Kindle account will be archived for free.